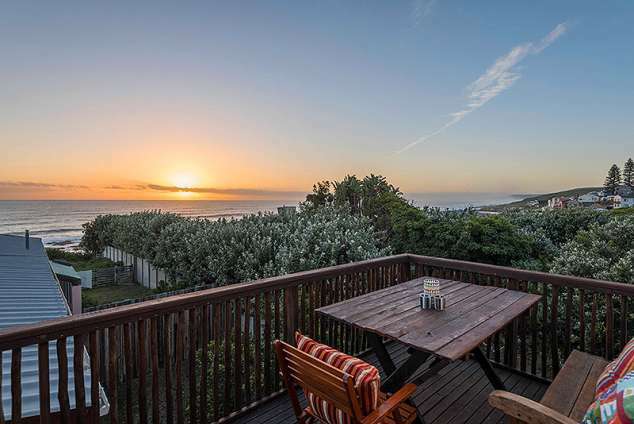 The Garden Cottage - Seaview Accommodation. Washing machine, dishwasher, oven and stove, microwave, fridge, freezer, kettle, toaster, poitjie pot. All kitchen utensils and pots, pans, etc are provided. Our location is the perfect spot to enjoy fishing and snorkelling. The swimming gullies are safe, and we can advise you on the best time to swim and explore. This part of the coastline is home to an abundance of bird life, fish, otters, whales, and dolphins. Pods of dolphins swimming past are an almost daily occurrence and a sight not to be missed. 17788 page views since 05 Oct, 2012.